Our competition may have cheaper prices, but don't forget that we offer a 5% discount on all orders of $300 or more. Along with that, all US orders will receive free shipping over $200. 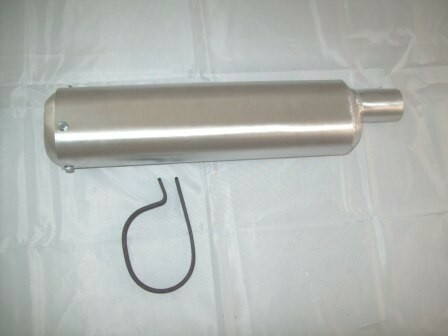 The DG Type II silencers are made from 6061 aluminum. The original silencer that made DG famous. 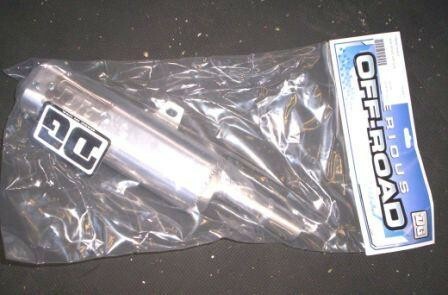 Our silencer is rebuildable and is available for most popular Vintage MX bikes. Improve the performance and keep that throaty factory sound. The pipe side measures 1". This includes a mounting clamp as well. The pipe side measures 1.125". This includes a mounting clamp as well. The pipe side measures 1.25". This includes a mounting clamp as well.